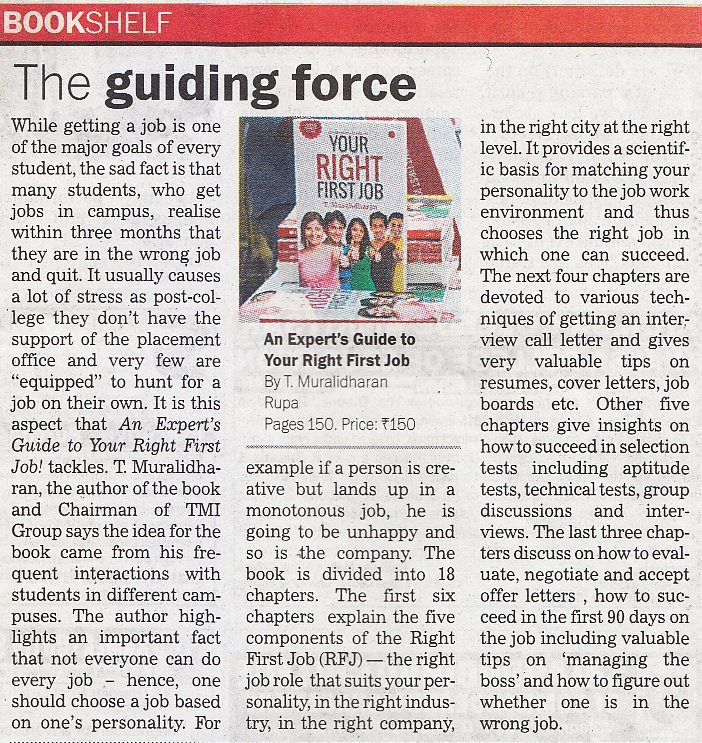 An Experts Guide to Your Right First Job has been published by one of India’s leading publishing houses, Rupa Publication. Rupa distributes and publishes a wide variety of books that covers every sphere of interest including fiction, non-fiction, poetry, plays, children’s literature, biographies, self-help, religion, philosophy, culture and business management. 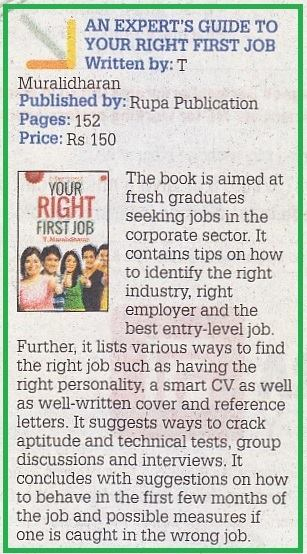 An Experts Guide to Your Right First Job has been published by one of India’s leading publishing houses, Rupa Publication. 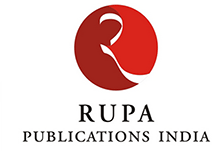 Rupa distributes and publishes a wide variety of books that covers every sphere of interest including fiction, non-fiction, poetry, plays, children’s literature, biographies, self-help, religion, philosophy, culture and business management. 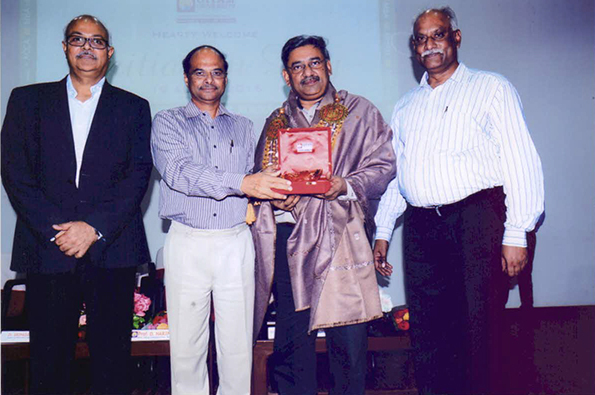 Rupa Publications is one of the leading yet oldest publishing houses in India and has recently added a feather in its cap by receiving Publication of the Year Award, 2009. 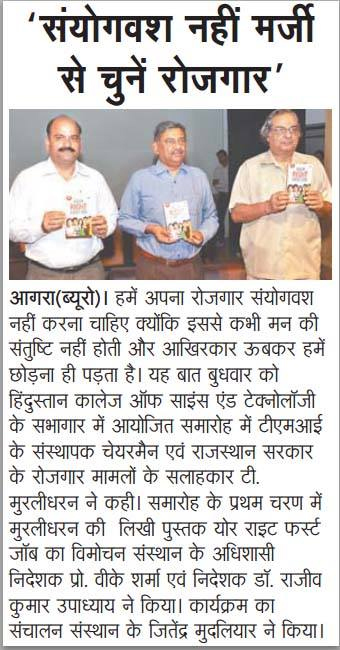 It has published the work of authors like Ruskin Bond, Gulzar, L K Advani, Jaswant Singh, Chetan Bhagat to name a few. It has also been doing its bit for the society by appreciating and publishing work related to contemporary & substantial issues. It has always been an inspiring force for the budding authors and thus has many debuted with it, marching to the way of glory. Books being priced economical yet qualitative in content, is one of the USPs of the brand and has thus, made books accessible to the masses. This book has been written for students in the final year of college, youth who have passed out of college and are looking for jobs, corporate employees with < 4 years of work experience (who want to change their existing job) and parents of all listed. He is considered a luminary in the field of talent acquisition and set up the TMI Group, one of India's has assisted over 400 corporates in hiring over 100,000 Indian executives and managers. In 2013 alone, TMI Group was involved in recruiting over 10,000 professionals. This book specifically caters to the needs of students who will be stepping into the corporate world for the first time. It highlights the importance of knowing your personality, finding the right industry, how to choose the right first employer and many such important aspects. The book will take them through all the things they should know and do in order to land a job that is right for them. 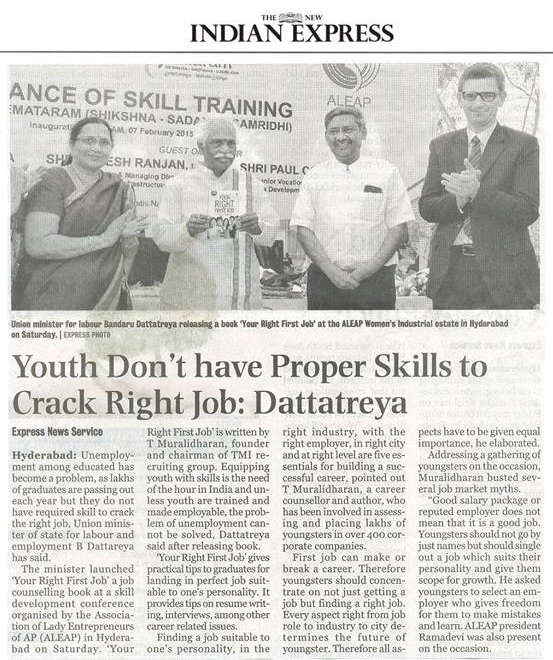 In other words they should look for a job that matches their Qualifications, Personality, Preferences and the various job opportunities available in the market to have a good T. Muralidharans’ main focus currently, is in helping young people, especially from disadvantaged sections of the society succeed by giving them access to corporate jobs and in essence, connecting education to employment. He believes in giving as much weightage to the means of success as to the ends. 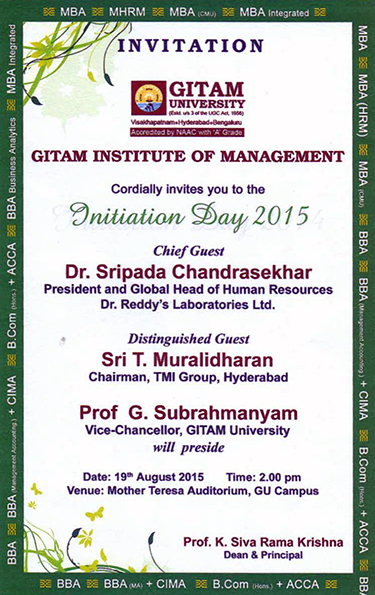 He has authored three books on Recruitment and Careers which are awaiting publication in India. 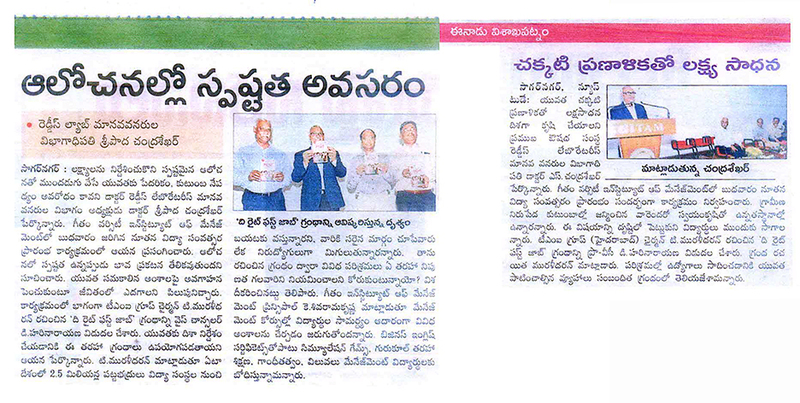 He is also actively involved in raising funds and in guiding a poor urban school of 650 children in Hyderabad in his capacity as the Secretary of the IIMA Alumni Association, Hyderabad Mr. Muralidharan writes for many publications and his articles and responses can be read on www.employabilityfirst.com – An Official Blog of T. Muralidharan. TMI is a 24 year old organisation with 1000+ employees and is one of India's most respected Consulting and HR Services Company. Promoted and managed by Engineer + MBAs, TMI has worked with the TOP 400 NSE corporates (including TATA, AV BIRLA, Mahindra, HLL, CITI) across 8 sectors - (Manufacturing, BFSI, IT, ITeS, Retail, Telecom, FMCG). TMI offers 9 services in Talent Acquisition and Talent Development solutions including Large Scale Recruiting, Employer Branding, Learning Content Development, Training, Executive Search, RPO, Temp Staffing, Assessment, MSME Hiring. It is known for pioneering new innovative ideas including use of technology in HR domain and have 9 offices in India and have operations in Middle East. Employability First Blog, an initiative from the TMI Group is India’s first Employability weblog to create awareness about a wide range of issues pertaining to employability for people from all walks of life. By doing so, all of can pool in our resources pertaining to education, employability and employment in this blog. Thus, creating a platform for people to come, see, learn, discuss and debate on a wide range of topics pertaining to Employability. I understand the anxiety when a youngster approaches the crucial phase of “job hunt”. 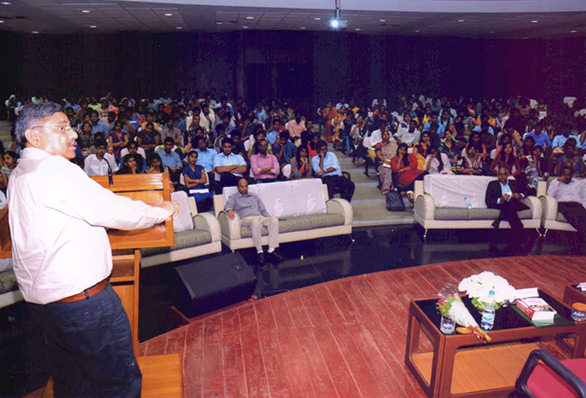 When I talk to the fresh graduates - I must have met thousands of them, they want “prescriptive" answers. TMI First, our division for fresher hiring, in two peak years, hired over 15,000 graduates and MBAs after visiting over 600 engineering, graduate and MBA campuses and assessed over 2 Lakh freshers. This knowledge of who these freshers are, what do they want has been documented in my first book – An Experts Guide to Your Right First Job. This book contains the practical wisdom from my placement experience of 25 years, in hiring over 1,00,000 corporate managers in over 200 corporates across multiple industries and conducting over 50,000 interviews. The book attempts to answer one question – how do I select, get and succeed in a job that is right for me? - Mr. Manmeet Ahluwalia, Marketing Head, Expedia India. 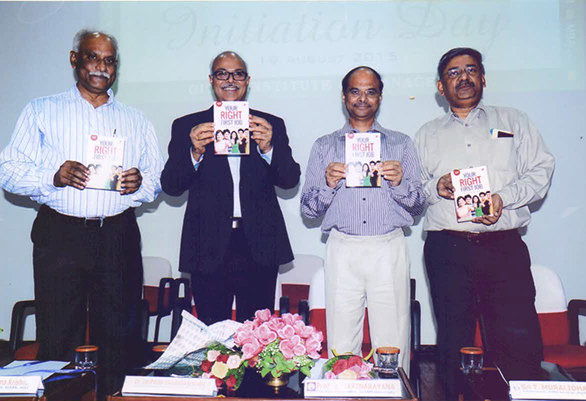 "The book provides perfect guidelines to everyone wishing to jump-start their careers. 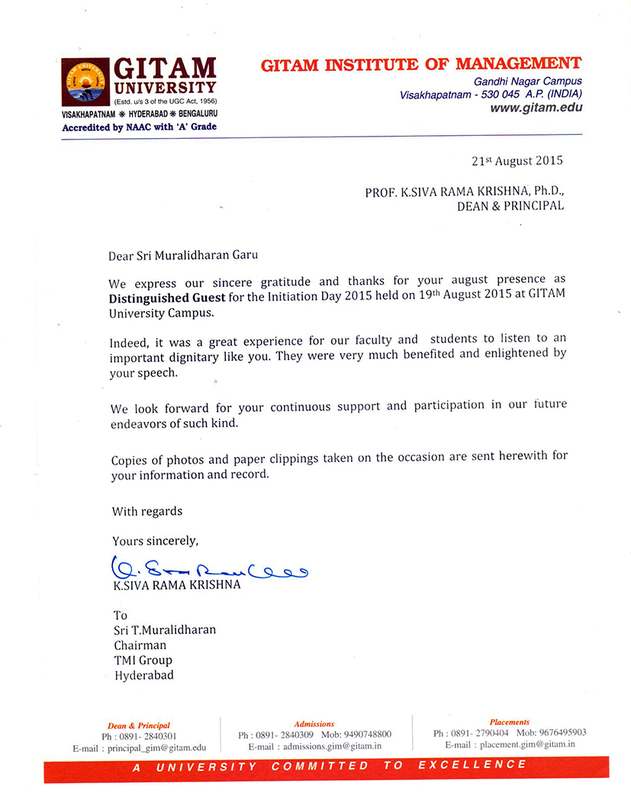 Infact, it should be referred to by every final year graduation student." "I did not look forward to go to work everyday and I wasn’t able to understand why. When I read this book, it spoke about how a job should be selected based on ones personality. I never thought that there is so much science behind selecting a job. A good read"
"It was reminiscing the road taken during my first job. It just does not apply for the first job but tells you how to treat every job as the first job. How to do things right to earn the satisfaction. Read to experience it." "This got stuck while I was thinking for a gift to our nephew on his birthday, who is going enter the job hunt in a few months.The Author has explained the nitty-gritties of right match of job that suits personality, attitude, etc. in a lucid and simple to follow manner.This book also explains the recruitment process through job boards, aptitude and technical tests, and interview process from a candidate perspective.This helps candidates to choose the right employer and apply his skills to join that employer.This also explains the importance of first ninety days on the Right First Job, which is a bonus to the younger generation. Overall, this helps like a compass to start your career with a solid foundation.."
"Easy on your eyes, your mind and your pocket! An insightful book for people looking for the Right First Job (RFJ)! Even applies to people caught in the wrong job! Whats interesting is that it has a sections dedicated to the concept that Job should be selected based on your personality, how to handle your boss when on the RFJ and what to do if you are caught in the wrong job! Surely breaks the clutter of gyan and gives practical to-do tips"
"One of the best books i read in a long time. As a Talent Acquisition Manager always felt the need of giving the right career guidance to youngsters who change/lead the business in the next generation. Kudos to the author in giving youngsters an insightful approach at jobs. This book should be made a compulsory read-through in all of the graduation schools." "One of the best books that i have read in a long time. As a TA Manager always felt the need of career guidance to youngsters who change the face of business and this book is rightly placed and targeted towards them. This book should be made a compulsory read-through in final year for all graduation courses.Loved reading this, though not looking for a first job.Kudos to the Author for giving us this detailed info into the ways of getting the right job......"
"Easy on your eyes, your mind and your pocket! 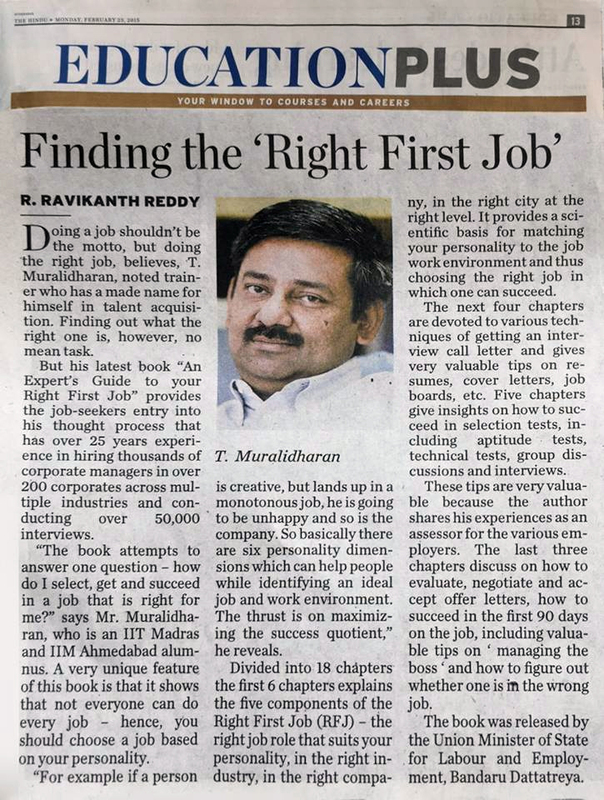 An insightful book for people looking for the Right First Job (RFJ)! Even applies to people caught in the wrong job! Whats interesting is that it has a sections dedicated to the concept that Job should be selected based on your personality, how to handle your boss when on the RFJ and what to do if you are caught in the wrong job! Surely breaks the clutter of gyan and gives practical to-do tips!" "Must read for someone who is set to start a corporate career...will help to go thru a logical process before d3cidong the first employer." 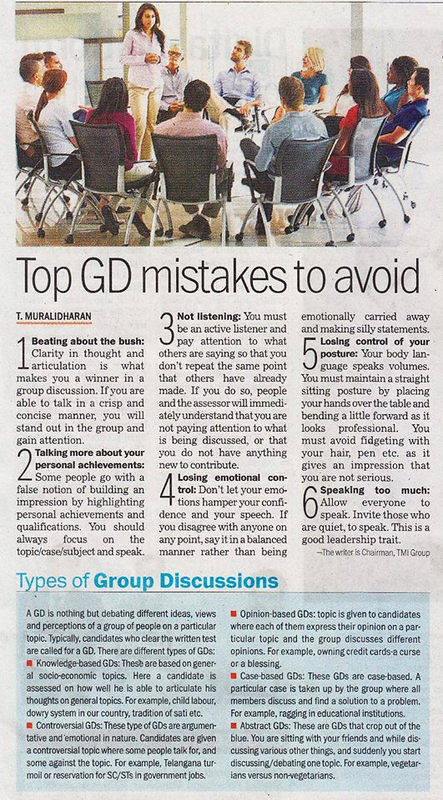 "I thought Group Discussion is all about making your point loud and clear. The tips & tricks mentioned in the book about group discussions, say that it is more important to be assertive and not aggressive. This is just one of the many points one can use while going through the selection process done by companies. These are things no one teaches us." "I read the whole book. It was fantastic and really helpful for the people who want to kickstart there career.I referred the book to few of my friends.Not only for students it will help for HR executives and Interviewers :) Thanks A Lot." "Must read for HR team members and all fresh grads seeking clarity in choosing career start point. Book is available on Amazon online store. Grab your copy and Happy reading." "When I Picked up the book, I didnt know what to expect since I am not a fresher. I have a little more than 2 years of work experience. The old saying, ‘There are many ways to skin a cat’, applies perfectly to career success. While each of these successful people took a different route to the top, all of them started with the right first job. It informed me that the right first job varies from person to person and depends upon one's personality traits." "Every student of undergraduate course should read it once and analyse itself." "Very very helpful book. The best part is that the book is crisp, talks simply and effectively about the right key points all in a simple language. As a final year engineering student from Delhi College of Engineering I have found much needed help guidance and clear vision for my near and long term future aim. I sincerely recommend this book to all young students in their senior or junior year to read this book for self answering any doubt about their career and future. "